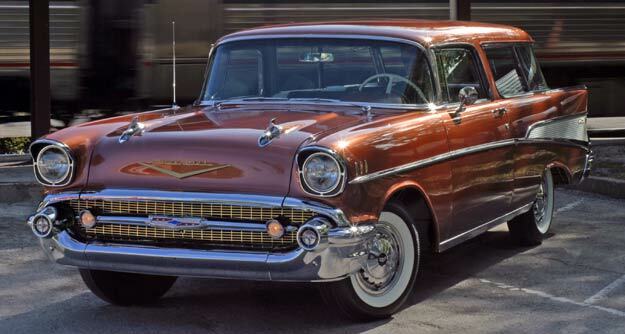 Even though this story focuses on a ’57 Nomad, the tips listed here can easily be applied to virtually any Corvette. Keep your car scoring higher at the shows, without blowing the budget! Sometimes the cash flow is up, sometimes it’s barely a trickle. Either way, you don’t always need to throw huge money at your car to get it looking its best. To prove the point, we’ve put together 10 cheap & easy restoration tips that will make a big improvement in how your car looks and how it comes across to others. These are things that are frequently overlooked, and they’re guaranteed not to break the bank. So let’s walk through a few things that you can do at minimal cost to make your car stand out in a crowd. Grab your cleaning supplies and a can of elbow grease– let’s give the wallet the day off. Here’s a frequent funk zone of the first order. Detail-minded show judges check here for just that reason. Don’t let your fuel filler area go around dirty. There are a lot of odd, hard-to-reach surfaces here, so you’re going to need some specialized cleaning brushes, and some cleaners that won’t damage your paint. Simple Green works great, but keep all detergent cleaners off your paint. If you’re dealing with a driver, and the whole area is on the rough side, you won’t get results that look like this without a thorough disassembly and repaint. But if your car is a restoration, a good cleanup will do wonders. The fuel door mechanism, gas cap, springs, and hardware are easy to get to, and a cleanup here will help a lot. 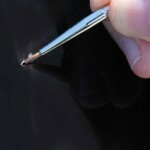 Breaking out the airbrush may be an option if the area needs a cosmetic touch up. They’re among the biggest bolts on the car, and you use big tools on ’em. But their big size makes it tempting to over-tighten the bumper bolts. Don’t do it. Over-tightening is not necessary, and will dimple your bumper. Bumpers, being one of the most noticeable features of a car, look so much better off without that damage. Take it easy with the breaker bar here. This is a great tool to have in your garage. 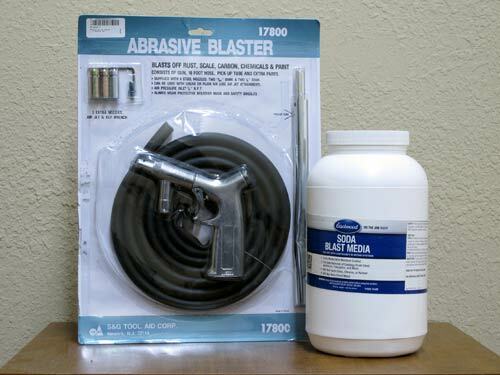 This tabletop blaster from Eastwood Company puts real blasting capability at your fingertips and costs less than $50. It will work with a variety of blasting media — soda, sand, and softer materials like shell. With your air compressor, you can professionally restore components like bolts and brackets, and refinish things like distributor housings, fuel pumps, suspension parts, pulleys, linkages and the like. 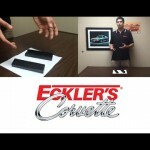 This inexpensive blaster can make a big difference in you car’s appearance. You see this a lot, even on very nice cars. A little sticking of the float, leaking of the fuel filter, some fuel bowl overflow, or flooding and spilling and you’ve got a puddle of fuel on the manifold. It’s a fire hazard when it’s wet, and a stain once it’s dry. 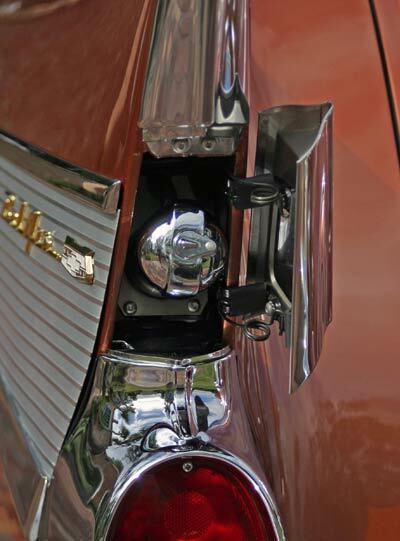 As a safety precaution, if you’ve got fuel winding up on your intake, you’d better find out how it’s getting there. It evaporates pretty quickly off of a hot engine, so there may be more fuel leaking from onto your manifold when it’s operating than you’d think. That means you’re dangerously close to an engine fire. Once you’ve corrected the source of the leak, fix the stain with a bit of fresh paint. There’s tire detailing for cruise night, then there’s tire detailing for show competition. Detailing tires for a high-end show car is more than a spray n’ wipe thing. In fact, if you’ve got the wide whites like this superb ’57 Nomad, repeated use of some tire dressings can turn whitewalls yellow. 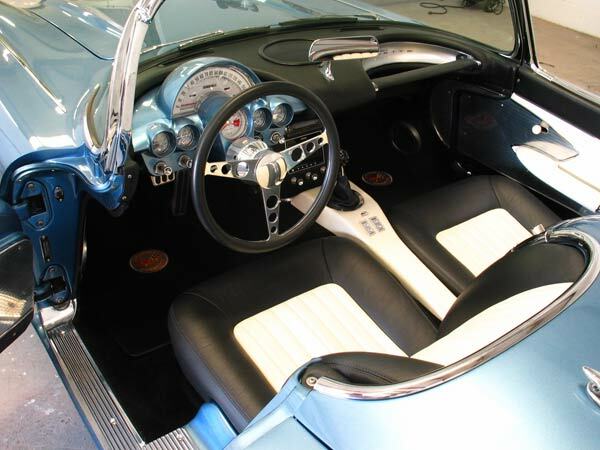 Use one microfiber towel for the black rubber, and a different microfiber towel for the whitewalls. Use the product of your choice– there are some very good ones– but plan on spending some time with cleaners, rubber dressing, and a toothbrush completely cleaning all of the black areas of the sidewalls, and each of the hundreds of ribs at the shoulder of each of the car’s five (don’t forget the spare) tires. That’s a lot of scrubbing, but extra effort like this is what separates the good from the great. 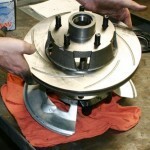 A true carburetor restoration is not cheap, and there are not that many people who can do it well. 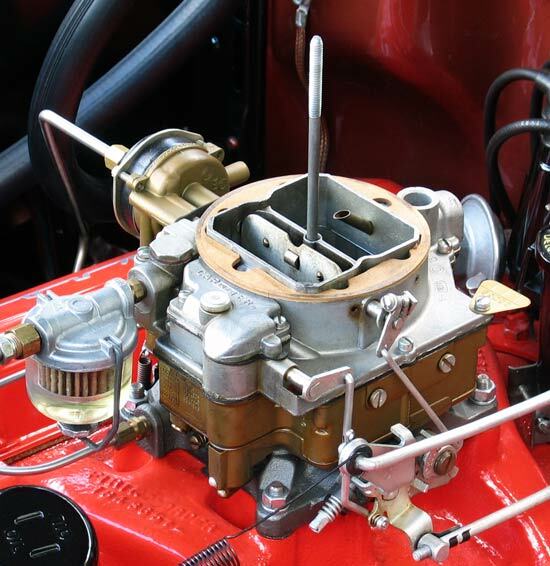 So our advice is to protect your restored carburetor with careful cleaning. 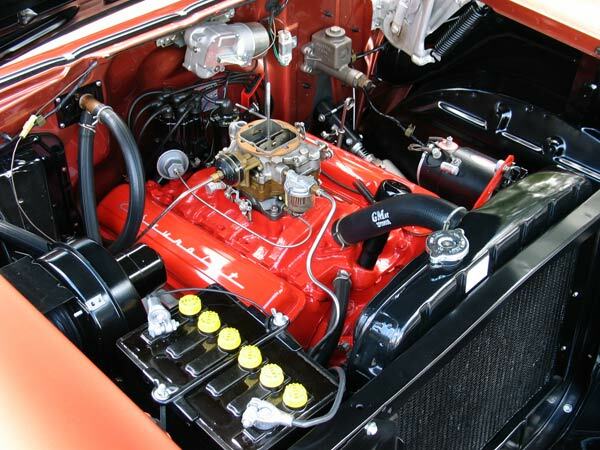 The carb deals with lots of harsh chemicals (gasoline), strong vapors, high heat, vibration, and thermal cycling. If you run your engine at all, it’s almost inevitable that leaks and grimy buildup will happen eventually. A bit of cleaner on a clean microfiber towel will cut the crud in its early stages. Use the mildest cleaner that gives you good results– harsh cleaners can prematurely age the plating and finishes you paid so much for. While we’re talking carbs, make sure you’ve got a gasket —hopefully a fresh one, not one that’s warped and ugly– between the carb and the breather. They’re commonly missing. A missing gasket is not only a deduction of points for a show car, it prevents unfiltered air from bypassing your air filter. It doesn’t take many dirty boots and hard-sole shoes dragging across your soft, aluminum door sills to leave unsightly scratches and gouges on an otherwise outstanding interior. There’s not much you can do but replace them with fresh ones. Just consider it the cost of driving your car and sharing it with others and be thankful they’re not expensive. Some clever show car owners have an NOS set for shows, and replace them with reproductions after the show. A clean and tidy jack and spare wheel help you to beat less conscientious car owners. 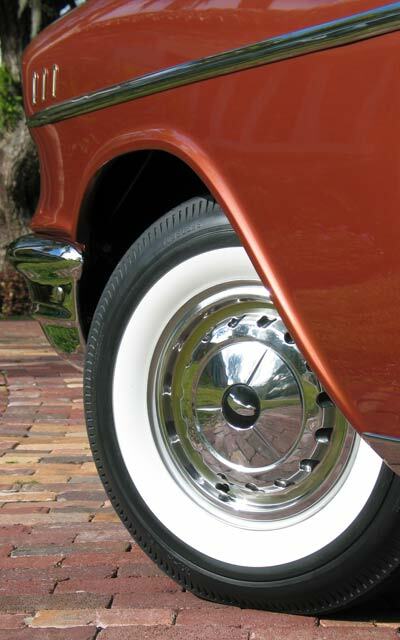 A well-restored jack and spare tire makes judges happy, and sends the message that you care about details on your car. 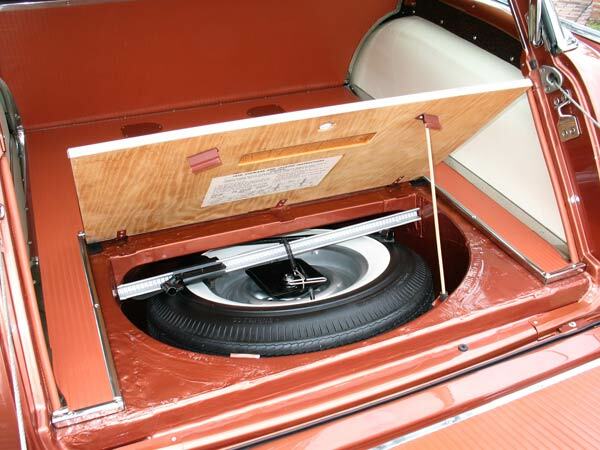 Restoring the jack and spare wheel isn’t very hard, and sure helps the look of your trunk when you’re done. Get a fresh instruction decal, too. 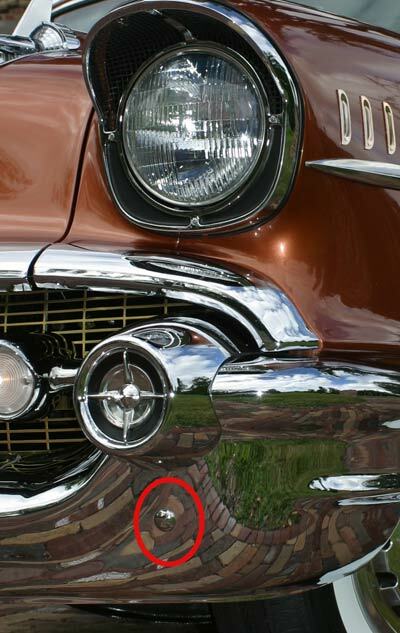 These two things are problems on many cars, whether show car or driver. A poorly reupholstered seat will have wandering, wavy seams, and bunched up, uneven surfaces because of either faulty foam or poor installation. Take a look at these seats, then take a good, honest look at your car. Are your seams straight or do they meander? 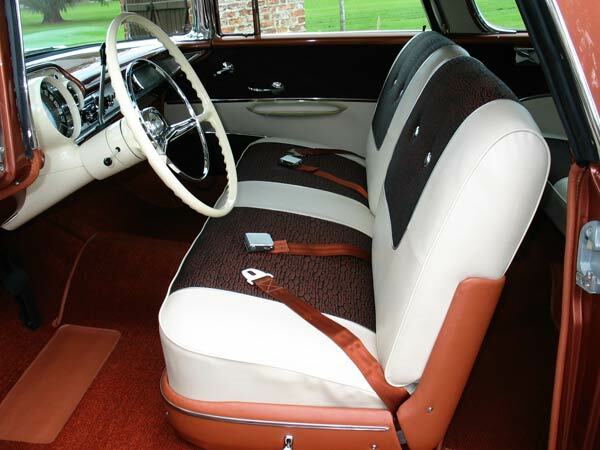 Are the cushion and seatbacks flush and smooth like these seats, or at there high spots and low spots? Those are the telltale signs of substandard workmanship. Seats are something that manufacturers paid a lot of attention to, and an amateurish reupholstery job just doesn’t do your car justice. Given the price that these great old cars are worth today, if your seat has problems, it’s probably worth it to pull it back apart and put it back together with fresh foam, and careful attention to straight seams, free of puckers and bunches. These things are miniature works of art. 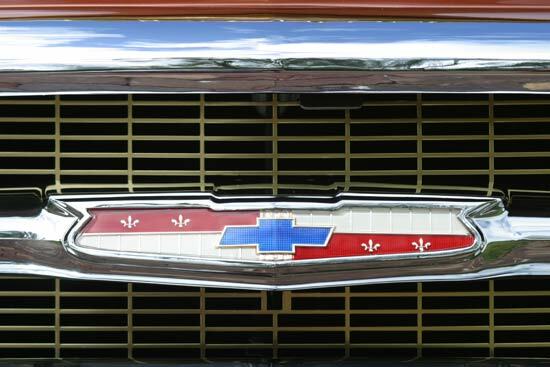 Just look at the design, shape, texture, and color in just this one grille emblem. It doesn’t take a lot of sun exposure or road debris to take the edge off of their brilliant appearance. If yours are starting to look old, spring for a new set. Bright, new badges really make a difference. I saw a tip for restoring steering wheels, but I can’t seem to find it now. Can you help?